(a) Any compliance application shall describe the chemical, radiological and physical composition of all existing waste proposed for disposal in the disposal system. To the extent practicable, any compliance application shall also describe the chemical, radiological and physical composition of to-be-generated waste proposed for disposal in the disposal system. These descriptions shall include a list of the waste components and their approximate quantities in the waste. This list may be derived from process knowledge, current non-destructive examination/assay, or other information and methods. (1) That all waste characteristics influencing containment of waste in the disposal system have been identified and assessed for their impact on disposal system performance. The characteristics to be analyzed shall include, but shall not be limited to: solubility; formation of colloidal suspensions containing radionuclides; production of gas from the waste; shear strength; compactability; and other waste-related inputs into the computer models that are used in the performance assessment. (2) That all waste components influencing the waste characteristics identified in paragraph (b)(1) of this section have been identified and assessed for their impact on disposal system performance. The components to be analyzed shall include, but shall not be limited to: metals; cellulosics; chelating agents; water and other liquids; and activity in curies of each isotope of the radionuclides present. (3) Any decision to exclude consideration of any waste characteristic or waste component because such characteristic or component is not expected to significantly influence the containment of the waste in the disposal system. (1) Demonstrate that, for the total inventory of waste proposed for disposal in the disposal system, WIPP complies with the numeric requirements of §194.34 and §194.55 for the upper or lower limits (including the associated uncertainties), as appropriate, for each waste component identified in paragraph (b)(2) of this section, and for the plausible combinations of upper and lower limits of such waste components that would result in the greatest estimated release. (2) Identify and describe the method(s) used to quantify the limits of waste components identified in paragraph (b)(2) of this section. (3) Provide information which demonstrates that the use of process knowledge to quantify components in waste for disposal conforms with the quality assurance requirements found in Section 194.22. (4) Provide information which demonstrates that a system of controls has been and will continue to be implemented to confirm that the total amount of each waste component that will be emplaced in the disposal system will not exceed the upper limiting value or fall below the lower limiting value described in the introductory text paragraph (c) of this section. The system of controls shall include, but shall not be limited to: Measurement; sampling; chain of custody records; record keeping systems; waste loading schemes used; and other documentation. (5) Identify and describe such controls delineated in paragraph (c)(4) of this section and confirm that they are applied in accordance with the quality assurance requirements found in Section 194.22. (d) The Department shall include a waste loading scheme in any compliance application, or else performance assessments conducted pursuant to § 194.32 and compliance assessments conducted pursuant to § 194.54 shall assume random placement of waste in the disposal system. (2) The total quantity of waste that will have been emplaced in the disposal system, prior to closure, to fall below the lower limiting value, including the associated uncertainty, described in the introductory text to paragraph (c) of this section. (f) Waste emplacement shall conform to the assumed waste loading conditions, if any, used in performance assessments conducted pursuant to §194.32 and compliance assessments conducted pursuant to §194.54. (g) The Department shall demonstrate in any compliance application that the total inventory of waste emplaced in the disposal system complies with the limitations on transuranic waste disposal described in the WIPP LWA. (h) The administrator will use inspections and records, such as audits, to verify compliance with this section. The U.S. Department of Energy (DOE) first demonstrated and documented compliance with the U.S. Environmental Protection Agency’s (EPA’s) radioactive waste disposal requirements found in 40 CFR Part 191 (U.S. Environmental Protection Agency 1993) in its Compliance Certification Application (CCA) (U.S. Department of Energy 1996a). The EPA reviewed the CCA against their Certification Criteria, found in 40 CFR Part 194 (U.S. Environmental Protection Agency 1996), and certified that the DOE’s Waste Isolation Pilot Plant (WIPP) complies with the radioactive waste disposal regulations set forth in 40 CFR Part 191 Subparts B and C (Environmental Standards for the Management and Disposal of Spent Nuclear Fuel, High-Level and Transuranic Radioactive Waste) (U.S. Environmental Protection Agency 1998a). In their demonstration of compliance, the DOE developed a computational modeling system to predict the future performance of the repository for 10,000 years (yrs) after closure. The system, called WIPP Performance Assessment (PA), must consider both natural and man-made processes and events that affect the disposal system. The WIPP PA requires many input parameters to represent the complex coupled processes that are expected to occur throughout the 10,000-yr regulatory time period. Some of these parameters relate directly to the transuranic (TRU) waste inventory. The TRU waste inventory includes information about materials in the waste (wood, metal, soil, etc. ), materials used to package waste (steel drums, plastic liners, etc. ), emplacement materials (cellulose, plastic, and rubber [CPR]), radionuclides in the waste, and key chemicals in the waste that are expected to impact or have a role in the performance of the repository. The TRU waste information needed as input to WIPP PA is waste volumes, waste materials, packaging materials, emplacement materials, radionuclide activities, complexing agents (ethylenediaminetetraacetic acid [EDTA], acetate, citrate, oxalate, acetic acid, citric acid, and oxalic acid), and oxyanions (sulfate, nitrate, and phosphate). TRU waste inventory has been reported by the DOE since 1994. The first inventory was reported as the Waste Isolation Pilot Plant Transuranic Waste Baseline Inventory Report (WTWBIR) (U.S. Department of Energy 1994). This report was followed by Revision 1 of the WTWBIR (U.S. Department of Energy 1995a) and two additional baseline reports, Transuranic Waste Baseline Inventory Report (TWBIR) Revisions 2 and 3 (U.S. Department of Energy 1995b and 1996b, respectively). The TWBIR Revisions 2 and 3, included in the CCA, Appendix BIR, reported the TRU waste inventory basis for the CCA WIPP PA and the Performance Assessment Verification Test (PAVT) (U.S. Department of Energy 1997). Following the receipt of the CCA PAVT analysis, the EPA ruled in May 1998 that the WIPP met the requirements for permanent disposal of TRU waste (U.S. Environmental Protection Agency 1998a). The first shipment of radioactive TRU waste from the nation’s nuclear weapons complex arrived at the WIPP site in late March 1999. This marked the time for subsequent recertification of the WIPP every five years after initial waste receipt, as required by the Land Withdrawal Act (LWA) (U.S. Congress 1996). Thus the first Compliance Recertification Application (CRA), CRA-2004, was submitted to the EPA by the DOE in March 2004. In the CRA-2004, the DOE prepared a TRU waste inventory that was published in Appendix DATA, Attachment F and associated annexes. During its review of the PA submitted in the CRA-2004, the EPA directed the DOE to conduct the CRA-2004 Performance Assessment Baseline Calculation (PABC) (Cotsworth 2005). Leigh, Trone, and Fox (2005) defined the inventory for the CRA-2004 PABC. This inventory information was later published in the Transuranic Baseline Inventory Report-2004 (U.S. Department of Energy 2006). Following the receipt of the CRA-2004 PABC analysis, the EPA ruled on March 29, 2006 that the DOE demonstrated continued compliance with the requirements of 40 CFR § 194.24 and the repository was recertified (U.S. Environmental Protection Agency 2006a). The inventory for the CRA-2009 PA is the same inventory used for the CRA-2004 PABC. Since the CRA-2004 PABC was completed, the Annual Transuranic Waste Inventory Report–2007 (U.S. Department of Energy 2008a) was published and provides updated inventory information. The DOE anticipates this inventory update will have only a small impact on normalized releases relative to the CRA-2009 PA, and will not be significant for compliance. The details of the inventory used for CRA-2009 are presented in the CRA-2004 PABC inventory summarized in TRU Waste Inventory for the 2004 Compliance Recertification Application Performance Assessment Baseline Calculation (Leigh, Trone, and Fox 2005). In accordance with the requirements of 40 CFR § 194.24(a), the DOE provided in the CCA a description of existing TRU waste, a list of approximate quantities of waste components, and descriptions for to-be-generated TRU waste to the extent practicable. This information was provided by the DOE in the form of waste profiles that were reviewed by EPA. Upon completion of the review of these profiles, the EPA found the DOE in compliance with section 194.24(a) (Compliance Application Review Document [CARD] 24, Section 24.A.6 [pp. 24-7 through 24-9], U.S. Environmental Protection Agency 1998b). In accordance with the requirements of 40 CFR § 194.24(b)(1), the DOE presented the results of its waste characteristic and components analyses in the CCA, Chapter 4.0 and Appendices MASS, WCA, SOTERM, and SA. The DOE indicated that the following characteristics were expected at the time of the CCA to have a significant effect on disposal system performance: radionuclide solubilities (including oxidation state distributions); formation of colloidal suspensions containing radionuclides; production of gas from the waste (hydrogen, and microbial substrate/nutrients for methane (CH4) gas generation); shear strength, compactability (waste compressibility), and particle diameter; radioactivity in curies (Ci) for each isotope; and TRU radioactivity at closure. These characteristics were included in the PA for the CCA. The EPA concluded that the DOE generally performed a thorough and well documented analysis, adequately identified all waste characteristics and, except for actinide (An) solubility and shear strength, appropriately assessed them as PA input parameters. The CCA PAVT was run using modified parameters, which satisfied the EPA’s concerns (CARD 23, p. 23-10 and Section 12.4 [pp. 23-42 through 23-68], U.S. Environmental Protection Agency 1998c, and CARD 24, Section 24.B.6 [pp. 24-26 through 24-31], U.S. Environmental Protection Agency 1998b). In accordance with the requirements of 40 CFR § 194.24(b)(2), the DOE identified a number of waste components and characteristics that would be important to performance. The EPA reviewed these components and characteristics and identified several issues with the DOE’s treatment of them in the CCA PA. However, through independent analysis and changes made in the CCA PAVT, these issues were resolved and the EPA determined that the DOE complied with this section (CARD 24, Section 24.C.5 [pp. 24-40 through 24-41], U.S. Environmental Protection Agency 1998b). In accordance with the requirements of 40 CFR § 194.24(b)(3), the DOE provided a list of those waste characteristics and components that were excluded from consideration in the PA for various reasons. The EPA had questions pertaining to assumptions and conclusions made by the DOE regarding organic ligands, but concluded that DOE’s treatment of organic ligands in the PA was adequate based on relevant literature and bounding assumptions using 1000 times the EDTA concentrations expected to be present in the repository (CARD 24, Section 24.D.5 [pp. 24-43 through 24-44], U.S. Environmental Protection Agency 1998b). In accordance with the requirements of 40 CFR §§ 194.24(c)(1), (e)(1), and (e)(2), the DOE specified the limiting value of the following waste material components: ferrous metals (minimum 2 × 107 kilograms [kg]); CPR (maximum 2 × 107 kg); free water emplaced with the waste (maximum 1,684 cubic meters [m3]); and nonferrous metals (metals not containing iron) (minimum 2 × 103 kg). In addition to these limits, the DOE provided plausible combinations of upper and lower limits and a rationale for these limits, the results of modeling code runs, the demonstration of numeric compliance, and the greatest release estimates. These limits, model runs, maximum calculated releases, and release estimates are found to be adequately described according to the EPA. (CARD 24, Section 24.F.5 [pp. 24-58 through 24-65], U.S. Environmental Protection Agency 1998b). The EPA also agreed that the PA appropriately accounted for the upper and lower limits because fixed values were used. In a determination of compliance with sections 194.24(e)(1) and (e)(2), the EPA reviewed the DOE’s description of system controls, chain of custody information, controls in place to track WIPP TRU waste, waste record keeping and accountability systems, and WIPP Waste Acceptance Criteria (WAC) requirements and controls. The EPA reviewed the CCA and determined that the DOE adequately referenced and summarized the WIPP WAC in the CCA (CARD 24, Section 24.H.5 [pp. 24-80 through 24-84], U.S. Environmental Protection Agency 1998b). In accordance with 40 CFR § 194.24(c)(2), the DOE proposed using nondestructive examination (NDE). Real-time radiography (RTR) and visual examination (VE) were used to quantify the amounts of specific waste material components in TRU waste. The DOE described numerous nondestructive assay (NDA) instrument systems to determine radionuclides in the waste and described the equipment and instrumentation for NDA, RTR, and VE found in facilities. The DOE also provided information about performance demonstration programs (PDP) intended to show that data obtained by each NDA method could meet data quality objectives established by the DOE including sensitivity, precision, and accuracy relative to limiting values. The EPA found the methods described, when implemented appropriately, would be adequate to characterize the important waste material components and radionuclides in TRU waste (CARD 24, Section 24.I.6 [pp. 24-87 through 24-89], U.S. Environmental Protection Agency 1998b, and U.S. Environmental Protection Agency 1996). In accordance with 40 CFR § 194.24(c)(3), the EPA determined that the DOE adequately described the use of acceptable knowledge (AK) only for legacy debris waste at the Los Alamos National Laboratory (LANL) (Dials 1997; U.S. Environmental Protection Agency 1996; CARD 24; U.S. Environmental Protection Agency 1998b). In accordance with the requirements of 40 CFR § 194.24(c)(4), the DOE described the system of documented controls used for waste characterization activities that described the management, operations, and quality assurance (QA) aspects of the program ensuring data completeness, accuracy, and discrepancy resolution prior to waste receipt at the WIPP. The DOE indicated that this system of controls would be monitored by the DOE/Carlsbad Field Office (CBFO) audit and surveillance program. In addition, the DOE provided descriptions of the documentation, data fields, and features of the WIPP Waste Information System (WWIS). The EPA determined that the DOE provided an adequate description of the system controls and processes for maintaining centralized command and control over TRU waste characterization activities. This was inspected and verified by the EPA at LANL. Conditions 2 and 3 of the 1998 Certification Decision specified that the DOE was prohibited from shipping waste for disposal at the WIPP until the EPA approved site-specific waste characterization programs and controls (CARD 24, Section 24.H.5 [pp. 24-80 through 24-84], U.S. Environmental Protection Agency 1998b). In accordance with the requirements of 40 CFR § 194.24(c)(5), the DOE described the PDP for NDA as required by the WIPP Quality Assurance Program Plan (QAPP). Under this CBFO program, the PDP standards address activity ranges relative to WAC limits, QAPP quality assurance objectives (QAO), and NDA method detection limits. (See CARD 22 U.S. Environmental Protection Agency 1998d, for additional discussion of QA for waste characterization activities.) The EPA reviewed the updated PDP Plan for NDA and concluded that the DOE provided adequate information regarding the PDP for NDA for LANL and Rocky Flats Environmental Technology Site (RFETS) at the time of inspections. The EPA confirmed through inspections at LANL that the system of controls and the measurement techniques described and implemented at LANL were adequate to characterize waste and ensure compliance with the limits of waste components for disposal at the WIPP (CARD 22, Section 22.B-5 [pp. 22-7 through 22-8], U.S. Environmental Protection Agency 1998d). RFETS was later certified to ship waste to WIPP. In accordance with the requirements of 40 CFR §§ 194.24(d) and (f), the DOE had (1) assumed random waste loading and (2) evaluated the potential consequences resulting from the nonrandom loading of the highest-activity waste stream containing at least 810 drums in WIPP. As a result of the evaluation, the DOE determined that a final waste loading plan was in fact unnecessary for the WIPP. The EPA therefore concluded that the DOE adequately cross-referenced the resultant waste distribution assumptions from the waste loading plan with the waste distribution assumptions used in the PA by random distribution of radioactive waste in the repository (CARD 24, Section 24.J.6 [pp. 24-94 through 24-96], U.S. Environmental Protection Agency 1998b). · Curie limits for remote-handled (RH) transuranic (TRU) (RH-TRU) waste: 5.1 million Ci (approximately 1.89 × 1017 becquerels). · Total capacity of RH and contact-handled (CH) transuranic (TRU) (CH-TRU) waste that may be disposed: 6.2 million ft3 (175,564 m3). · RH-TRU waste will not exceed 1,000 rem per hour, no more than 5 percent (%) by volume of RH-TRU will exceed 100 rem per hour, and RH-TRU will not exceed 23 Ci per liter maximum activity level (averaged over the volume of the canister). In addition, the DOE provided numerous tables that presented the WIPP waste inventory in terms of activity (in Ci) and total volumes (in m3). The EPA reviewed this information, including the process the DOE outlined for controlling the waste and the use of the WWIS, and determined that the DOE had an adequate program for tracking and controlling the waste (CARD 24, Section 24.K.5 [pp. 24-98 through 24-99], U.S. Environmental Protection Agency 1998b). The EPA found the DOE in compliance with provisions of 40 CFR § 194.24(h). Discussion of inspections and records, such as audits is addressed by the EPA in CARD 22 (U.S. Environmental Protection Agency 1998d). To meet the requirements of section 194.24(a), the DOE described and categorized the TRU waste currently emplaced in the WIPP and the waste that existed or was expected to be generated at the DOE TRU waste sites in the CRA-2004. The DOE developed a descriptive methodology for collecting and grouping waste information obtained from each TRU waste site. The DOE also described and categorized the TRU waste that was currently emplaced in the WIPP and the waste that existed or was expected to be generated at the DOE TRU waste sites. The emplaced waste was tracked as reported in the WWIS and was included in the CRA-2004 inventory. The details of the CRA-2004 inventory are presented in the CRA-2004, Chapter 4.0: Appendix TRU WASTE; and Appendix DATA, Attachment F.
As a result of responses to questions from the EPA during their review of the CRA-2004 PA, the DOE was directed to conduct a new PA for recertification to incorporate inventory changes as well as other technical changes (Cotsworth 2005). The new inventory components and radiological estimates were reported in TWBIR-2004 (U.S. Department of Energy 2006) and subsequently summarized in the CRA-2004 PABC Inventory Report (Leigh, Trone, and Fox 2005). The CRA-2004 PABC Inventory Report, Table 4 (Leigh, Trone, and Fox 2005) lists the volumes of emplaced CH-TRU waste as of September 30, 2002 (the cutoff for inclusion in the CRA-2004 PA) and August 1, 2005 (the cutoff for inclusion in the CRA-2004 PABC). Table 5 of the same report lists the stored and projected CH-TRU waste estimates used for the CCA, CRA-2004 PA, and the CRA-2004 PABC. The projected inventory information is derived from the updated waste stream profile forms, and reflects each site’s best determination of the waste expected to be generated and is originally presented in the CRA-2004, Chapter 4.0, Section 4.1.3. Leigh, Trone, and Fox (2005), Tables 9 and 10, show the anticipated nonradioactive components of the TRU waste inventory. For PA to model a full repository, the DOE used a scaling factor in the same manner used in the CCA. However, unlike in the CCA, the CRA-2004 also used this scaling methodology on RH-TRU waste. The techniques of inventory scaling are presented in TWBIR 2004 (U.S. Department of Energy 2006). The radionuclide activity expected to be placed in the WIPP decreased from the CCA estimate of 3.44 million Ci to 2.32 million Ci in the CRA-2004 PABC Inventory Report (Leigh, Trone, and Fox 2005, Section 4.4, p. 36). Table 14 of the CRA-2004 PABC Inventory Report listed the activity by radionuclide for the CCA PA, the CRA-2004 PA, and the CRA-2004 PABC. Below are the new inventory items since 1998 that were included in the CRA-2004 PA and the CRA-2004 PABC inventory. · Idaho National Laboratory (INL) Buried Waste—DOE included the INL pre-1970 buried waste in the CRA-2004 PABC Inventory Report (Leigh, Trone, and Fox 2005) as a result of an April 2003 Federal District Court judgment against the DOE on the buried waste. The CRA-2004 PABC Inventory Report (Leigh, Trone, and Fox 2005) estimated 17,998 m3 of TRU waste in five waste streams from the pre-1970 buried waste at INL. · Supercompacted Waste—Supercompacted waste from INL’s Advanced Mixed Waste Treatment Facility (AMWTF) was included in the CRA-2004 PABC TRU waste inventory estimate. After an extensive analysis of this waste (Marcinowski 2003), the EPA concluded that the supercompacted waste could be considered within the existing waste envelope and PA. The EPA approved the disposal of the supercompacted waste (Marcinowski 2004). Prior to shipping this waste, the EPA conducted a waste characterization inspection of the AMWTF (Gitlin 2005). · Hanford Tank Waste—The DOE’s Office of River Protection determined that waste from 12 of the 177 tanks at the Hanford site was TRU waste or would be TRU waste after treatment. A description of these tanks and their waste streams and generating process are shown in CARD 24, Table 24-1 (U.S. Environmental Protection Agency 1998b). Patterson (2005a) and Patterson (2005b) present the DOE’s documentation for these TRU tanks. · Hanford Waste from K-Basin—The DOE’s CRA-2004 PABC TRU waste inventory also included two waste streams, RL-W445 and RL-W446, consisting of ~50 m3 of waste, from the Hanford K-East and K-West Basins (Patterson 2005a and 2005b). · Container Types—Container types new to the CRA-2004 PABC inventory included: ten-drum overpack, 5 × 5 × 8 boxes, 100-gallon (gal) drums, and pipe overpacks within drums. The container types were considered in the CRA-2004 PABC inventory development process since it was important to estimate the amount of CPR in the WIPP (Leigh, Trone, and Fox 2005, Section 4.2, p. 30). · Organic Ligands—Four organic ligands were included in the Fracture-Matrix Transport (FMT) calculations of An solubilities: acetate, citrate, EDTA, and oxalate (Detwiler 2004a). Further discussion on organic ligands for the CCA can be found in the CCA, Appendix SOTERM, Section 5.0, and CARD 24, Section 24.C.5 [pp. 24-40 and 24-41] (U.S. Environmental Protection Agency 1998b). Organic ligands are further discussed in the CRA-2004 PA (Attachment SOTERM (Section 5.0, p. 42) and U.S. Environmental Protection Agency 2006d). Changes and details on the inventory process and description are discussed further in CARD 24 (U.S. Environmental Protection Agency 2006c). There were no major changes to the waste characteristics between the CCA PAVT and the CRA-2004 PABC, but the DOE did change some of the waste components used in the PA. These changes are summarized in Table 24-2 of CARD 24 (U.S. Environmental Protection Agency 2006c) and are presented in Table 24-1 below. In the CCA, the DOE identified several waste characteristics as being potentially important to the PA (the CCA, Appendix WCA, Section WCA.6, pp. WCA-42 through WCA-43) based on available information, including uncertainties and WIPP system characterization. These analyses were summarized in the CCA, Appendices WCA, SOTERM, and MASS, and were augmented by the DOE’s responses to the EPA comments (CARD 24, Sections 24.B.5 and 24.B.6 [pp. 24-12 through 24-31], U.S. Environmental Protection Agency 1998b). The CRA-2004 identifies the same important characteristics, and also states that organic ligands could be important to solubility. The CRA-2004 PABC, therefore, includes the ligands in the solubility calculations (Brush and Xiong 2005). The DOE originally stated in the CCA that solubility of actinides was among the major characteristics of the radionuclides expected to affect disposal system performance (the CCA, Appendix WCA, Section WCA.4, pp. WCA-30 through WCA-34). The DOE assessed the solubility of thorium (Th), uranium (U), neptunium (Np), plutonium (Pu), and americium (Am) (Appendix SOTERM, U.S. Department of Energy 1996a). In addition, the DOE assumed that cesium (Cs) and strontium (Sr) were completely (100%) soluble, therefore the concentrations of these two radionuclides were determined from the quantities listed in the inventory (the CCA, Appendix WCA, p. 30). The CRA-2004 PABC used the particle diameter determination from expert panel findings during the original certification. The DOE used the generic weep brine (GWB) Salado brine chemistry formulation instead of the Brine A formulation used in the CCA PA and PAVT. The most significant differences between the brine formulations were the lower magnesium concentration and higher sulfate concentration in GWB relative to Brine A. Comparison of geochemical modeling results using the two brine formulations indicated that GWB brines had slightly lower predicted An(III) solubilities and higher An(V) solubilities compared to Brine A. The solubility of actinides in the III, IV, V, and VI oxidation states for both the Castile and Salado brines were calculated by the DOE with the assumption that pH and the fugacity of carbon dioxide (f(CO2)) were controlled by the brucite (Mg(OH)2)–hydromagnesite (Mg5(CO3)4(OH)2×4H2O)buffer. The solubilities from the CCA and the CRA-2004 are listed in Table 24-3 of CARD 24 (U.S. Environmental Protection Agency 2006c). The uncertainty ranges for the actinides in the CRA-2004 PA were the same as those used in the CCA (Bynum 1996). The uncertainties in the An solubilities were used to define the range for Latin Hypercube Sampling (LHS) of the An concentrations in the PA, assuming a log cumulative distribution (CARD 24, Section 24.B.5 [pp. 24-15 and 25-16], U.S. Environmental Protection Agency 1998b). Formation of colloidal suspensions was evaluated by the DOE as an important group of waste characteristics. Actinides can be mobilized in colloidal form as intrinsic colloids or absorbed on nonradioactive colloidal particles. In the CCA, the DOE determined that four types of colloids may be present in the WIPP repository: intrinsic colloids, mineral fragment colloids, humic colloids, and microbial colloids (the CCA, Appendix WCA, Section WCA. 4.2, pp. WCA-34 through WCA-36). These colloids were modeled in the CRA-2004 PABC and were unchanged from the CCA (see CARD 24, Sections 24.B.5 and 24.B.6 [pp. 24-12 through 24-31], U.S. Environmental Protection Agency 1998b, and CCA Appendix SOTERM, Section 6.0, U.S. Department of Energy 1996a). The DOE implemented the colloidal An source term differently in the CRA-2004 PA than in the CCA. In the CCA, the DOE assumed all vectors would have a microbial colloid contribution to the An source term. For the CRA-2004 PA, the DOE assumed there would be microbial colloid transport only in vectors with microbial degradation. In the CRA-2004 PABC it was assumed that all vectors included microbial activity and thus included microbial colloid transport. Gas generation included hydrogen gas generation as well as carbon dioxide (CO2) and CH4 generation by microbial degradation. Anoxic corrosion produces hydrogen gas and microbial action on microbial substrates such as CPR, as well as other microbial nutrients (nitrate, sulfate and phosphate), which produce CO2 and CH4. The same conceptual model was used for microbial gas generation in the WIPP repository for both the CCA and the CRA-2004. Information about the models used for the CCA and the CRA-2004 can be found in the CCA, Appendix SOTERM, Section SOTERM-8.2.2 and the CRA-2004, Appendix PA, Attachment SOTERM, Section SOTERM-2.2.2, respectively. Microbial gas generation rates used in the average stoichiometry model were based on experimental data from microbial consumption of papers (cellulose) under inundated and humid conditions (Wang and Brush 1996). A gas-generation rate is determined in BRAGFLO (fluid flow code) for the humid and inundated rates based on the effective liquid saturation (CRA-2004, Chapter 6.0, Section 6.4.3.3). These gas generation rates were calculated from the initial linear part of the experimental curve of CO2 as a function of time (the CRA-2004, Appendix PA, Attachment PAR; Wang and Brush 1996). For the CRA-2004 PABC, the DOE requested a change to the gas generation rate PA parameters based on the DOE’s review of additional experimental data collected over the last 10 years (Nemer and Stein 2005; Nemer, Stein, and Zelinski 2005). The gas generation experiments exhibited two rates: an initial higher rate, and a second lower rate. The DOE proposed to the EPA that the long-term rate be the gas generation rate used in the PA calculations, with the initial higher rate incorporated as an initial higher pressure. There were no changes in these parameters from the CCA PAVT through the CRA-2004 PABC. In the CCA (Sections 3.1 and 3.2; Appendix WCA), the DOE indicated that the radioactivity of each isotope was important to the PA because it directly affected the waste unit factor (WUF) (number of million Ci of TRU isotopes in the WIPP inventory) (see the CCA, Appendix WCA, Table WCA-1). Since the same approach was used in the CRA-2004, the approach is summarized here. The DOE indicated that U and Th isotopes were required in DBR assessments because, although they comprise negligible fractions of the total EPA unit, they did influence the total quantity of dissolved radionuclides (the CCA, Appendix WCA, p. WCA-22). In addition, the DOE indicated that although EPA units for 90Sr and 137Cs at the time of the WIPP’s closure were significant, they are not included in direct release of brine because they rapidly decay within the first few hundred years after closure and result in “negligible impact on the PA” (the CCA, Appendix WCA, p. WCA-26). In addition, the DOE indicated that if a DBR occurred early after closure, the total brine released would be minimal and the 90Sr and 137Cs would still, therefore, play a minor role in compliance (the CCA, Appendix WCA, p. WCA-26). The DOE justified the radionuclide list for the long-term groundwater pathway (releases to the Culebra Dolomite Member of the Rustler Formation [hereafter referred to as Culebra]) in the CCA, Appendix WCA, Section WCA.3.2.3, pp. WCA-26 through WCA-27. In the CRA-2004 PABC, the selection of isotopes for modeling transport in the disposal system with NUTS and PANEL was described in the CRA-2004, Appendix TRU WASTE, Section TRU WASTE-2.0. PANEL runs included nearly all isotopes of the six actinides studied in the Actinide Source Term Program: Th, U, Np, Pu, Am, and curium (Cm). NUTS runs explicitly included five isotopes: 230Th, 234U, 238Pu, 239Pu, and 241Am (Garner and Leigh 2005). The DOE used the information from the update of the CCA inventory to define the isotope inventory for the CRA-2004 PA (the CRA-2004, Chapter 4.0). The CRA-2004 PABC Inventory Report (Leigh, Trone, and Fox 2005, Table 14, p. 37) provides the radioactivity in Ci of each isotope used in the CRA-2004 PABC. The CRA-2004 PABC Inventory Report, Table 14 (Leigh, Trone, and Fox 2005) lists the DOE inventory at closure, based upon the September 2002 cutoff and the CRA-2004 PABC update as described in Section 24.4.1. The CRA-2004 PABC Inventory Report indicated that the inventory estimate was 2.32 × 106 Ci and the WUF was 2.32, with inventory activity decayed to the year 2033. The 2.32 WUF was the number of millions of curies of alpha-emitting TRU radionuclides with half-lives longer than 20 years used in the calculation of the EPA normalized unit. Overall, activity at 2033 for all TRU radionuclides has decreased from 2.55 × 106 Ci reported in the CCA to 2.48 × 106 Ci in the CRA-2004 inventory estimate to 2.32 × 106 Ci in the CRA-2004 PABC inventory estimate. The DOE discussed the WUF value in the CRA-2004 PABC Inventory Report (Leigh, Trone, and Fox 2005, p. 36). The DOE indicated that ferrous metals, cellulose, organic chelating agents, radioactivity in curies of each isotope, a-emitting TRU radionuclides with half-life greater than 20 years, solid waste components (e.g., soils and cementitious materials), sulfates and nitrates were expected to have a significant effect on disposal system performance and so were used in the CCA PA, CRA-2004 PA, and the CRA-2004 PABC. Most of the inventory amounts of the listed components changed and were discussed in the CRA-2004, Appendix PA, Attachment SOTERM, Table SOTERM-4; Leigh, Trone, and Fox 2005; and U.S. Environmental Protection Agency 2006e. The only significant change was the incorporation of organic ligands in the An solubility PA calculations. The DOE updated the FMT thermodynamic databases with information related to organics to account for the organic ligands’ affect on An solubility (the CRA-2004, Appendix PA, Attachment SOTERM, Section SOTERM-5.0). Organic ligand inventories were recalculated for the CRA-2004 PABC (Brush and Xiong 2005). Changes and details on the effect of components on disposal system performance are discussed further in CARD 24 (U.S. Environmental Protection Agency 2006c). The DOE provided a list of waste characteristics and components that were excluded from consideration in the PA for various reasons, such as negligible impact (the CCA, Appendix WCA, Table WCA-4 and CRA-2004 Appendix TRU WASTE, Section TRU WASTE-6.0). The effect of organic ligands, however, is incorporated into the CRA-2004 PABC (Brush and Xiong 2005). For the CRA-2004 PA, the DOE did not make any changes to the limits identified in the CCA or their implementation in the CRA-2004 PA. In reviewing the CRA-2004 PA, the EPA identified that the packaging materials for the INL supercompacted waste were omitted from the CPR total, but these packaging materials were included in the CRA-2004 PABC as part of the inventory estimate. See CARD 24 (U.S. Environmental Protection Agency 2006c) for further discussion. As noted in 40 CFR § 194.24(b), the DOE did not modify the list of CCA components and characteristics requiring quantification. Therefore, the CRA-2004 did not identify any significant changes to the measurement techniques used in the waste characterization program (i.e., VE, RTR, AK, and NDA). In addition, the CRA-2004 did not propose changes to the current waste characterization program through use of different NDA and NDE characterization methodologies. The CRA-2004 indicated that the location of NDA and NDE methodology documentation and information regarding QAOs had changed since the CCA. There were also several minor changes to the characterization program. The changes the EPA identified are specified in CARD 24 (U.S. Environmental Protection Agency 2006c). The CRA-2004 was revised to show that the AK process was presented in the CH-TRU WAC. The CH-TRU WAC was revised to include more discussion of AK with respect to radionuclides (U.S. Department of Energy 2002). Modifications made to the CH-TRU WAC since the CCA that were pertinent to AK included the use of existing AK collected prior to the implementation of a QA program under 40 CFR § 194.22(a), methods for confirming isotopic ratios using AK, required and supplemental AK documentation, discrepancy resolution and data limitation identification, and AK-radioassay data measurement comparisons as a means to assess comparability. Existing AK collected prior to the implementation of a QA program under section 194.22(a) may be qualified by peer review, corroborating data, confirmatory testing, or collection of data under an equivalent QA program. See CARD 24 (U.S. Environmental Protection Agency 2006c) for further discussion. The DOE uses the WWIS to track data for emplaced waste in the WIPP. For the CCA, the WWIS used Oracle (Version 7) and for the CRA-2004, the WWIS used Oracle (Version 9): otherwise, there were no changes. In the CRA-2004, a statement was included, “additional computing system upgrades may be implemented in the future.” See CARD 24 (U.S. Environmental Protection Agency 2006c) for further discussion. The DOE described the changes to the PDP in the CRA-2004, Chapter 4.0, Section 4.3.3.1 PDP (p. 4-49). There were three significant changes in this section relative to the CCA: (1) the QAPP is no longer referenced as the document defining the PDP QAO requirements, (2) the PDP Plan was removed as a reference and replaced by the statement that “the NDA PDP plans are revised as required,” and (3) the section no longer contains a detailed description of the isotopes to be analyzed and the configuration of the PDP tests. Other minor changes are addressed in CARD 24 (U.S. Environmental Protection Agency 2006c). The DOE also revised the quality document hierarchy for waste characterization activities by making the Carlsbad Area Office (CAO) Quality Assurance Program Document a higher-tier document and the QAPP of lesser importance. This new document hierarchy is shown in the CRA-2004, Chapter 4.0, Figure 4-3, which replaced the CCA, Chapter 4.0, Figure 4-6. The DOE did not use a performance-based waste loading scheme for waste emplacement in WIPP, and the DOE assumed random waste loading in its performance and compliance assessments. Prior to the CRA-2004, the EPA requested that DOE analyze waste loading with respect to supercompacted waste, and the DOE identified that clustering of waste would not affect performance (Marcinowski 2003, Park and Hansen 2003, and Marcinowski 2004). See CARD24 (U.S. Environmental Protection Agency 2006c) for further discussion. The DOE uses the WWIS to track the limitations on TRU waste disposal described in the WIPP LWA. For the CCA, the WWIS used Oracle (Version 7) and for the CRA-2004, the WWIS used Oracle (Version 9). Otherwise, there were no changes. In the CRA-2004, a statement was included: “additional computing system upgrades may be implemented in the future.” See CARD 24 (U.S. Environmental Protection Agency 2006c) for further discussion. The EPA found the DOE in compliance with provisions of section 194.24(h). Discussion of inspections and records, such as audits, is addressed by EPA in CARD 22 (U.S. Environmental Protection Agency 2006b). The EPA reviewed the CRA-2004 and supplemental information to determine whether it provided a sufficiently complete description of the chemical, radiological, and physical composition of the emplaced, existing, and to-be-generated waste proposed for disposal in the WIPP. The EPA also reviewed the DOE’s description of the approximate quantities of waste components (for both existing and to-be-generated waste). The EPA considered whether the DOE’s waste descriptions were of sufficient detail to enable the EPA to conclude that the DOE did not overlook any component that is present in TRU waste and has significant potential to influence releases of radionuclides. Based on the EPA’s review and evaluation of this information and the consideration of public comments, the EPA determined that the DOE continued to comply with the requirements of section 194.24(a) (U.S. Environmental Protection Agency 2005d, 2006c, 2006e, 2006f). The EPA reviewed descriptions of the chemical, radiological, and physical components of the waste which were documented in the CRA-2004 and supporting documents. This information was collected using similar methods as during the CCA and the process used was determined to be reasonable by the EPA. The EPA concluded on the basis of this information that the CRA-2004 and supplemental information adequately described the chemical, radiological, and physical characteristics of each waste stream proposed for disposal at the WIPP. The EPA further concluded that the information presented by the DOE in the CRA-2004 provides adequate characterization of existing WIPP waste for use in PA. The EPA concluded that the DOE’s development of the disposal inventory was sufficient for PA purposes. The EPA agreed with the DOE that the use of projected waste inventory for scaling the CH-TRU WIPP inventory to meet the total WIPP capacity was appropriate. The DOE’s use of the inventory scaling process was similar to that used in the CCA and was adequate for projecting inventory estimates. The EPA approved the disposal of supercompacted waste from AMWTF at the WIPP (Marcinowski 2004). The DOE’s CRA-2004 characterized, represented, and considered supercompacted waste from INL in the recertification inventory. The DOE’s assortment of containers was expected to meet the metal limit regardless of the container type, because they all are metal containers. The EPA found the container types used in the CRA-2004 PA to be reasonable. During the initial review of the recertification application, the EPA found that the DOE did not include emplacement materials in the CRA-2004 PA calculations (Cotsworth 2004a). These materials could contribute to gas generation. The DOE states (Detwiler 2004b) that this material accounted for only a 12.7% increase in CPR if it is included in the PA and that there would be no effect on compliance if it were included in the PA. However, the DOE did include the additional emplacement material volume and mass in the CRA-2004 PABC (Leigh, Trone, and Fox 2005, Section 1.3.3, p. 11), thus the emplacement materials are reflected in the release estimates. The CRA-2004 PABC shows that the WIPP still complies with the new CPR amounts in the inventory. Thus the use of increased CPR amounts was adequate, and the amount used in the CRA-2004 PABC established a new limit. The DOE estimated the activity in curies in the inventory on a site-by-site, waste-stream-by-waste-stream level. The EPA required that the DOE produce a “list of the waste components and their approximate quantities.” The EPA reviewed the estimate in the CRA-2004, Chapter 4.0 and Appendix TRU WASTE, and the TRU Waste Baseline Inventory Database (Los Alamos National Laboratory 2005) and found these materials to contain sufficiently specific information on the species and quantities of individual radioisotopes in the waste. The EPA requested that the DOE provide additional information regarding the possible effects of organic ligands concentrations on An solubilities in the WIPP repository (Cotsworth 2004b). In their response, the DOE described the results of a series of calculations designed to determine the sensitivity of An(III), An(IV), and An(V) solubilities to increases in organic ligand concentrations and the possible effects of microbially produced acetate and lactate. The EPA reviewed the updated calculations related to the effect of organic ligands on An solubility and determined that organic ligands are potentially important (U.S. Environmental Protection Agency 2006d). The DOE did include the effects of solubility of organic ligands in the CRA-2004 PABC and the CRA-2004 and supplemental information: therefore, the EPA found that the DOE appropriately included organic ligands in the CRA-2004 PABC (U.S. Environmental Protection Agency 2006f). In the CRA-2004, the DOE identified that it included waste from 12 tanks from Hanford. This included nine tanks of CH-TRU waste and three tanks of RH-TRU waste. The volume of the CH-TRU waste was estimated to be ~3,932 m3 (~2% of the total CH-TRU waste and ~2% of the total inventory) and the RH-TRU waste was estimated at ~4,469 m3 (~63% of total RH-TRU waste, ~2.5% of the total inventory). The DOE stated that these 12 tanks were considered TRU waste although the tanks were managed as high-level waste (HLW). Furthermore, the DOE pointed out, if the waste was HLW, then by law it could not go to the WIPP. The DOE included waste from the 12 tanks in the CRA-2004 PA and the CRA-2004 PABC and began discussion about establishing a TRU waste determination process in the future. The EPA allowed this waste to be included in the PA inventory for recertification and the DOE demonstrated that with the Hanford tank waste, the WIPP continues to comply with the EPA’s disposal regulations. However, it was noted that before any Hanford tank waste could be shipped to the WIPP, the DOE must demonstrate during characterization that the waste is, in fact, TRU waste that can legally go to the WIPP (CARD 24; U.S. Environmental Protection Agency 2006c). The sludges from the K-Basin storage pools consist of debris, silt, sand, and material from operations of the pools at Hanford. The 50.4 m3 of sludges contaminated with radionuclides associated with spent nuclear fuel that was exposed to water in the pools were included in the CRA-2004 PABC. The EPA allowed this waste in the PA inventory because the waste form was similar to other waste going to the WIPP, was low in volume, and required processing and characterization before being shipped to the WIPP. In addition, EPA stated the DOE must demonstrate that the waste meets the technical and legal requirements prior to disposal. The pre-1970 buried waste included in the CRA-2004 PABC (Leigh et. al. 2005) is found in the CRA-2004, Appendix DATA, Attachment F, Annex I as waste stream IN-Z001. It was designated as non-WIPP TRU waste, but the DOE decided to include it in the CRA-2004 PABC because of a 2003 judgment against the DOE related to its removal at INL. This waste was not included in the CRA-2004 PA because the court judgment came after the September 30, 2002 cutoff date for inventory development (see Leigh, Trone, and Fox 2005; Lott 2004). This waste appeared to be similar to other WIPP waste streams, but must still meet the WIPP WAC and remains subject to the EPA’s inspection and approval process before being disposed of at the WIPP. The DOE identified and corrected one error between the CRA-2004 PA and the CRA-2004 PABC: the LANL CH-TRU waste stream LA-TA-55-48. This waste stream was a low-volume, high-radioactivity waste stream that skewed the results of the PA cumulative contamination distribution factors upward. Upon further review, the DOE identified that this waste stream was mischaracterized; the Pu fissile gram equivalent mass was greater than shipping requirements allowed (Crawford 2004). The DOE reevaluated the waste stream, and modified the waste stream radioactivity and volume for the CRA-2004 PABC. Since this was an estimate and the waste will be characterized before going to the WIPP, the waste stream correction was found to be reasonable. For the CCA, the EPA reviewed information on waste characteristics and components in a number of technical documents. This review encompassed references, experimental programs, logical arguments, and modeling. The EPA determined all relevant waste characteristics and components were identified and evaluated. For the CRA-2004, the EPA focused on changes and new information that could affect the DOE’s analyses and findings. The EPA concluded that, with the combination of the CRA-2004, supplemental information, and the CRA-2004 PABC, the DOE continued to comply with the requirements for section 194.24(b)(1) (U.S. Environmental Protection Agency 2006c). The EPA’s review identified two areas in which the DOE did not adequately address solubility. First, the DOE did not update the U(VI) solubility to incorporate new data that became available since the certification decision. The data indicated that the U(VI) solubility should be higher than that used by the DOE in the CRA-2004 PA. Second, the DOE did not update the solubility uncertainty ranges used for An solubility oxidation states based on new data. For the CRA-2004 PABC, the EPA stated that the solubility of U(VI) needed to be changed to a fixed value of 1 × 10-3 molar (M) because of experimental data that became available after the CCA. In addition, the EPA required that new solubility uncertainty ranges, based on the FMT database and currently available experimental solubility data, be incorporated into the CRA-2004 PABC. The DOE made additional changes to the calculation of the An(III), An(IV), and An(V) solubilities based on revised thermodynamic data for the An(IV) actinides, a different Salado brine formulation, and revised concentrations of organic ligands. These changes were properly implemented as discussed in Section 7 of Technical Support Document for Section 194.24: Evaluation of the Compliance Recertification Actinide Source Term and Culebra Dolomite Distribution Coefficient Values (U.S. Environmental Protection Agency 2006b). · Organic ligand complexation data was incorporated into the FMT thermodynamic database so the effects of organic ligands on An(III), An(IV) and An(V) solubilities can be calculated directly. The organic ligand concentration changes, which in all cases but oxalate are defined by the inventory, were the result of corrections to the masses of organic ligands identified in the CRA-2004 PABC inventory (Leigh, Trone, and Fox 2005) and the minimum estimated brine volume required for a release from the repository. · The TRU waste inventory data, including actinides, was updated. · The FMT thermodynamic data base for actinides was updated and used to calculate the An(III), An(IV), and An(V) solubilities. Most importantly, the free energy formation constant value for thorium hydrate (Th(OH)4)(aq) was lowered, leading to better agreement between experimental and modeling results (Xiong 2005). · Magnesium oxide (MgO)-reacted Salado GWB and Castile (ERDA-6) brines were used to calculate An solubilities. GWB, which has a lower magnesium (Mg) and higher sulfate content, replaces Brine A as the Salado brine formulation for An solubility calculations (Brush et al. 2006). · Instantaneous equilibria among major GWB and ERDA-6 relevant minerals was assumed and the chemical environment was made more uniform due to the elimination of nonmicrobial vectors in PA.
· Correction of the minimum brine volume necessary for DBR (Stein 2005). · Revision of the estimated U(VI) solubility to 0.001 M account for the new data (U.S. Environmental Protection Agency 2005b). · Recalculation of An solubility uncertainties based on a much larger number of solubility measurements, with separate distributions developed for the An(III), An(IV), and An(V) solubilities (Xiong, Nowak, and Brush 2005). The CCA PAVT included microbial colloid transport of actinides for all vectors. The CRA-2004 PA included different assumptions about the colloidal source term concentrations for microbial and nonmicrobial vectors, with no microbial colloid transport of actinides assumed for nonmicrobial vectors. However, for the CRA-2004 PABC, it was assumed that all vectors included microbial activity. Therefore, the DOE included microbial colloid transport of actinides for all CRA-2004 PABC vectors (Brush 2005). This approach was, therefore, the same for the CCA PAVT and CRA-2004 PABC, and was consistent with the EPA’s direction that all vectors include microbial activity. Microbial degradation of CPR may influence WIPP repository performance because of its effects on repository chemistry and gas generation. The EPA reviewed the approach and assumptions used by the DOE to model microbial degradation for the CRA-2004 PA. The EPA’s comments to the DOE focused on the probability of significant microbial degradation, the nature of the microbial degradation reactions likely to occur in the repository, and microbial gas generation rates. As a result of the EPA’s review and comments, the DOE changed the modeling of microbial degradation processes for the CRA-2004 PABC. Specifically, the EPA instructed the DOE to assume that microbial degradation of CPR would occur in all CRA-2004 PABC vectors. During the review of the CRA-2004 PA, the DOE informed the EPA that the microbial gas generation experiments had continued and additional information related to microbial gas generation rates in the WIPP repository had become available since the CCA PA and the CCA PAVT. 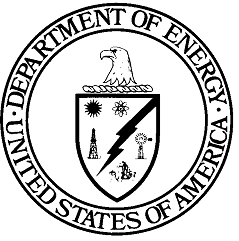 In the letter (Cotsworth 2005) directing the DOE to perform the CRA-2004 PABC, the EPA allowed the DOE to propose a new gas generation rate scheme based on the new experimental data. At the EPA’s direction, the DOE changed the probability of microbial degradation to account for new evidence regarding the presence and viability of microbes capable of degrading CPR in the WIPP repository. The revised probability parameters resulted in microbial degradation in all vectors for the CRA-2004 PABC. However, the DOE asserted that uncertainties remained regarding the viability of microbes in the repository because of different conditions in the repository compared to the conditions in the experiments. The DOE therefore introduced an additional sampled parameter, BIOGENFC. This parameter, which has a uniform distribution from 0 to 1, was multiplied by the microbial gas generation rates to effectively reduce the humid and inundated microbial gas generation rates from the experimentally determined long-term rates. The concentrations of organic ligands were reevaluated for the CRA-2004 PABC An solubility calculations based on a revised estimate of the minimum amount of brine that could lead to a release from the repository. In addition, new data regarding the possible complexation of An(IV) by EDTA were identified. These data were evaluated to determine the potential significance of EDTA to the An solubility calculations for WIPP repository conditions. During the EPA’s review of the important waste components, the EPA identified that only organic ligands had been addressed differently than in the CCA. Organic ligands could increase An solubility, but the EPA determined that the DOE had adequately included their effects in the CRA-2004 PABC (U.S. Environmental Protection Agency 2006c). In the CCA, the EPA found that the DOE identified those waste components that required limits, and that the limits were reasonable and quantifiable. The EPA’s main concern was that the waste components be kept to levels that keep the repository in compliance with the disposal standards. The waste components of special concern were the amounts of CPR and their potential to generate gases that contribute to increased pressure in the repository. As with the CCA, the DOE did not provide the associated uncertainty for the waste material component limits in the CRA-2004. The EPA identified two related issues regarding this claim of no uncertainty. The first was to ensure that the inventory remains within the waste component limits established by the DOE, and the second is that the performance of the repository was not compromised by the uncertainty in the inventory. This section required that the DOE identify the associated uncertainty for each limiting value. In the CRA-2004, as in the CCA, the DOE stated that the waste material component limits were fixed values with no associated uncertainties. However, the EPA requested that the DOE review the issue of uncertainty. The DOE states (Leigh 2006, p. 6) that the “sum of the weights of individual components in a container can at most differ from the total weight of the container by 5 percent.” For the CCA, the EPA agreed with this approach, since the limiting value could be used to represent the “upper end” of an uncertainty value. However, the lack of information on the waste component inventory was of concern for the future, especially with the CPR materials, since they had the greatest potential to affect performance. Since the inventory emplaced in the WIPP is currently at a fraction of the total inventory expected in the future, and since a significant fraction of the inventory is still estimated and to be emplaced in the future, the EPA found that the use of point estimates is acceptable for the waste components and radionuclides for this recertification. In addition, the EPA found that, since only a limited amount of waste has been emplaced, the inventory and its associated uncertainty is below the respective limiting values. However, the EPA suggested the DOE improve its knowledge of the measurement uncertainty for the next recertification and include these uncertainties into the PA process (U.S. Environmental Protection Agency 2006c). Since the 1998 certification decision, the waste characterization program has been implemented at several DOE waste generator sites. This represented a change in activities since approval of the CCA, because only LANL was approved at that time. Since 1998, the EPA approved waste characterization at the larger generator sites, namely the AMWTF, Hanford, INL, RFETS, and Savannah River Site. In addition, characterization was approved at the small generator sites: Lawrence Livermore National Laboratory and the Nevada Test Site. These sites continued to characterize CH-TRU waste for disposal at the WIPP through the CRA-2004. Based on the EPA’s review of the CRA-2004, including the new information and references presented therein, the EPA agreed that the methods used to quantify the limits of waste components had not changed substantially since the 1998 certification decision. The EPA kept abreast of all the changes to the program, including information source document changes that transpired after the EPA’s 1998 certification decision. Changes implemented up to the 2002 CH-TRU WAC and Waste Analysis Plan (WAP) referenced in the CCA had not affected the site’s abilities to adequately quantify waste components in individual containers. The DOE, therefore, continued to require each waste site to characterize radiological contents of every container of CH-TRU waste streams destined for WIPP disposal using the EPA-approved NDA systems. Similarly, each site continued to examine each TRU waste container to ensure the absence of prohibited items using the EPA-approved RTR and/or VE procedures (U.S. Environmental Protection Agency 2006c). The EPA’s WIPP regulations required the DOE to “provide information which demonstrates that the use of process knowledge to quantify components in waste for disposal conforms with the quality assurance requirements found in 40 CFR § 194.22” (U.S. Environmental Protection Agency 1996, p. 5240). The EPA found the information presented in section 194.24(c)(3) of the CRA-2004 adequate and that the adherence of TRU waste sites to the CRA-2004-based AK process will allow them to meet their regulatory obligation. The EPA determined that the general description of the WWIS in the CRA-2004 was adequate (CARD 24, pp. 24-44, U.S. Environmental Protection Agency 2006c). Hardware modifications and software upgrades described in the CRA-2004 were necessary to maintain system reliability, security, and performance. The EPA reviewed the WWIS during its inspections of the WIPP and TRU waste generator sites and was aware of the changes to the WWIS since the CCA. The EPA determined that the WWIS adequately gathers, stores, and processes information pertaining to TRU waste destined for or disposed of at the WIPP (U.S. Environmental Protection Agency 2006c). The DOE stated that a majority of the 130 WWIS data fields were pertinent to demonstrate compliance with TRU waste transportation and disposal requirements. The EPA verified that the DOE adequately tracked more than these 130 data fields in the WWIS. The DOE had not changed its tracking methodology and in fact has added parameters to be tracked in the WWIS. The QAPP and the Methods Manual were replaced by the WAC and the New Mexico Environment Department (NMED) WAP for the CRA-2004. The EPA was aware of these changes to the program requirements documents. The wording changes regarding the description of the PDP test and the removal of the PDP plan did not affect the EPA’s ability to ensure that the DOE has implemented a series of intercomparability tests for NDA equipment that develop similar results. The elimination of the PDP test description from the CRA-2004 requires that the DOE make available to the EPA the PDP plans and test descriptions so the EPA could ensure that the program was indeed acting as a “true blind sample” program. The change in PDP certification from the facility to the equipment was acceptable. The EPA continued to ensure, through audits and inspections, that the waste characterization program met QA requirements sufficiently. The inspection program was the primary method by which the EPA determined the implementation of QA controls to the waste characterization program. The DOE’s changes to the PDP program did not affect the EPA’s ability to assess the implementation of quality controls to the waste characterization program. The wording changes allowed the DOE more flexibility in developing PDP tests. The changes to the QA document hierarchy do not lessen the implementation of quality controls to the waste characterization program. Based on the EPA’s review and evaluation of the CRA-2004 and supplemental information provided by the DOE, the EPA determined that the DOE continues to comply with the requirements for section 194.24(c)(5) (U.S. Environmental Protection Agency 2006c). In PAs, the DOE has assumed random waste emplacement. In the CCA, the EPA asked for additional analysis assuming clustering of waste. The DOE performed an analysis and showed that clustering waste streams would not significantly affect PA results. Indeed, RFETS waste was eventually clustered in the WIPP (Park and Hansen 2003). In addition, the EPA required the DOE to conduct another analysis assuming nonrandom waste emplacement as part of the review of supercompacted waste from INL. The results showed that nonrandom placement of waste was not significant (e.g., CRA-2004, Appendix PA, Attachment MASS, Section MASS-21.0). Thus, no waste loading assumptions were necessary in PA calculations for CRA-2004. Based on the EPA’s review and evaluation of the CRA-2004 and supplemental information provided by the DOE, and because DOE showed that waste loading assumptions were not necessary for use in PA, the EPA determined that the DOE continues to comply with the requirements for sections 194.24(d) and (f) (U.S. Environmental Protection Agency 2006c). The DOE has several years of experience with the WWIS and, through the EPA’s inspections, the DOE has shown the WWIS to be effective in tracking and controlling waste disposed of at the WIPP. The DOE had not characterized or shipped any RH-TRU waste at the time of the CRA-2004. Based on a review and evaluation of the CRA-2004 and supplemental information provided by the DOE, the EPA determined that the DOE continues to comply with the requirements for section 194.24(g) (U.S. Environmental Protection Agency 2006c). The EPA found the DOE in compliance with provisions of section 194.24(h). Discussion of inspections and records, such as audits is addressed by the EPA in CARD 22 (U.S. Environmental Protection Agency 2006b). To meet the requirements of section 194.24(a) in CRA-2004, the DOE described and categorized the TRU waste currently emplaced in the WIPP at that time and the waste that existed at various DOE facilities. The details of the inventory used for CRA-2009 are presented in the CRA-2004, Chapter 4.0 and Appendix TRU WASTE, and the CRA-2004 PABC inventory (see Appendix BIR) was summarized in the CRA-2004 PABC Inventory Report (Leigh, Trone, and Fox 2005). The combination of the inventory presented in the CRA-2004, Appendix TRU WASTE, and the CRA-2004 PABC Inventory Report is referred to as the CRA-2004 PABC Inventory Report. The inventory for the CRA-2009 PA is the same inventory used for the CRA-2004 PABC. Since the CRA-2004 PABC was completed, the Annual Transuranic Waste Inventory Report–2007 (U.S. Department of Energy 2008a) was published and provides updated inventory information. The DOE anticipates this inventory update will have only a small impact on normalized releases relative to the CRA-2009 PA, and will not be significant for compliance. Therefore, the DOE is in compliance with section 194.24(a). There were no changes to the waste characteristics between the CRA-2004 PABC inventory and the CRA-2009 inventory, but the DOE did add inventory parameters used in the PA. Leigh, Trone, and Fox (2005) give a comprehensive description of the projected inventory used for the CRA-2004 PABC. The CRA-2009 PA used the CRA-2004 PABC inventory with one set of modifications. The CRA-2004 PABC included CPR materials in the waste and container (packaging) materials that were also used in the CRA-2009 PA, but the CPR contents in emplacement materials were erroneously omitted from the CRA-2004 PABC (Nemer 2007). To correct this omission, six new parameters representing the density of CPR materials in emplacement materials were created and used in the CRA-2009 PA. Four additional parameters, which represent the density of cellulose and rubber materials in container (packaging) materials, were also created for the CRA-2009 PA (Nemer 2007). Table 24-2 lists the names and descriptions of the CPR parameters used in the CRA-2009 PA, including the 10 additional parameters. The addition of the four container (packaging) CPR parameters is done solely for bookkeeping purposes, since container (packaging) materials do not contain cellulose or rubber materials, as seen by the zero values in Table 24-2. The CRA-2009 PA used all the CPR parameters shown in Table 24-2. There were no changes between the CRA-2004 PABC and CRA-2009 PA in the methodology and data used to calculate An solubilities or their colloidal concentration in the WIPP brine. The microbial assumptions and gas generation rates associated with this also remain unchanged in the CRA-2009 PA. Therefore, the DOE is in compliance with section 194.24(b)(1). The DOE determined that the components identified below were expected to have a significant effect on disposal system performance (see the CCA, Appendix WCA), and so were used in the CRA-2004 PABC. aNewly created for the CRA-2009 PA. These components in the CRA-2009 inventory have not changed from the CRA-2004 PABC inventory that was used for the CRA-2004 recertification decision. Therefore, the DOE is in compliance with section 194.24(b)(2). The DOE provided a list of those waste characteristics and components that were excluded from consideration in the PA for various reasons, such as negligible impact (the CRA-2004, Appendix TRU WASTE, Section TRU WASTE-6.0 and in Appendix PA-2009). There were no changes in the exclusion decisions for the important waste components and characteristics in the CRA-2009 PA since the CRA-2004 recertification decision. Therefore, the DOE is in compliance with section 194.24(b)(3). The inventory used for the CRA-2009 PA is the same as the CRA-2004 PABC inventory. Therefore, the waste components and their associated uncertainties for the CRA-2009 have not changed since the CRA-2004 PABC. The only change from the CRA-2004 PABC is the change of the emplaced MgO. In April 2006, the DOE submitted a Planned Change Request for EPA approval to reduce the MgO excess factor from 1.67 to 1.2 (Moody 2006). To justify its request, the DOE used reasoned arguments regarding health-related transportation risks to the public, the cost of emplacing MgO, and the uncertainties inherent in predicting the extent of microbial consumption of CPR materials during the 10,000-yr WIPP regulatory period. The EPA responded that the “DOE needs to address the uncertainties related to MgO effectiveness, the size of the uncertainties, and the potential impact of the uncertainties on long-term performance” (Gitlin 2006). Based on these results, measurement uncertainty in the mass of CPR materials is not expected to significantly impact the expected mass of CPR materials in a room and consequently to have little impact on repository performance. In addition, to date, a limited amount of waste has been emplaced relative to total capacity of the repository. It follows that the inventory and its associated uncertainty remains below the limiting value for the mass of CPR in the CRA-2009 PA, and the DOE remains in compliance with sections 194.24(c)(1), (e)(1), and (e)(2). As noted in section 194.24(b), the DOE did not modify the list of CRA-2004 components and characteristics requiring quantification. Therefore, the CRA-2009 did not identify any significant changes to the measurement techniques used in the waste characterization program (i.e., VE, RTR, AK, NDA). Since the CRA-2004, the WIPP has received RH-TRU waste. RH-TRU waste normally contains more gamma emitting radionuclides than the CH-TRU waste (mostly 137Cs), and the characterization method used to determine radionuclide activity is a Dose-to-Curie methodology as identified in Remote-Handled TRU Waste Characterization Program Implementation Plan, Revision 0D (U.S. Department of Energy 2003). RH-TRU waste normally contains more metal container material parameters because the preferred method for hot-cell operation is to place the waste into 30 or 55 gal drums before placement into the RH-TRU canister. The addition of RH-TRU waste does not modify the list of components and characteristics requiring quantification. Therefore, the DOE is in compliance with section 194.24(c)(2). · Use of existing AK collected prior to the implementation of a QA program under section 194.22(a) may be qualified in accordance with an alternative methodology and employs one or more of the following methods: peer review, corroborating data, confirmatory testing, and collection of data under an equivalent QA program for both the CH-TRU and RH-TRU waste. · Methods for confirming isotopic ratios using AK (i.e., methods pertinent to sites generating weapons grade Pu vs. heat grade) for both the CH-TRU and RH-TRU waste. · Required and supplemental AK documentation for both the CH-TRU and RH-TRU waste. · Discrepancy resolution and data limitation identification for both the CH-TRU and RH-TRU waste. · AK radioassay data measurement comparisons as a means to assess comparability for both the CH-TRU and RH-TRU waste. These modifications effectively focused on the WIPP WAC to address specific allowances and requirements with respect to AK needs for radionuclide data on both the CH-TRU and RH-TRU waste. The revised WAP (New Mexico Environment Department 2008) retains AK requirements of data assembly, compilation, etc., included in the CRA-2004 and CCA. Therefore, the DOE is in compliance with section 194.24(c)(3). The WWIS used the Oracle (Version 9) database management system at the time of CRA-2004 as described in CRA-2004, Chapter 4.0, Section 4.3.2. The current computing system uses Oracle (Version 10g). The CRA-2004, Appendix TRU WASTE, Section TRU WASTE-5.0, briefly describes the WWIS as part of a system of controls that address sections 194.24(c)(4) and (c)(5), requirements for computer software for nuclear facility applications. Since the submittal of the CRA-2004, the WWIS has been updated to include data fields required for the disposal of RH-TRU waste. WWIS was also modified by the addition of data fields to meet additional tracking and control requirements imposed on RH-TRU waste by the LWA. The WWIS was also updated since the CRA-2004 to track the amount of MgO emplaced in the repository. This addition was added to ensure the excess factor of 1.2 is met throughout the repository. The WWIS User’s Manual, Appendix F (U.S. Department of Energy 2008c), contains the WWIS Data Dictionary that defines each data field for CH-TRU and RH-TRU waste. Therefore, the DOE is in compliance with section 194.24(c)(4). The DOE describes the PDP program in the CRA-2004, Chapter 4.0, Section 4.3.3.1 PDP (p. 4-49). Both the Performance Demonstration Program Plan for Nondestructive Assay of Boxed Wastes for the TRU Waste Characterization Program, Revision 1 (U.S. Department of Energy 2008d) and Performance Demonstration Program Plan for Nondestructive Assay of Drummed Wastes for the TRU Waste Characterization Program, Revision 1 (U.S. Department of Energy 2005) have been revised since the CRA-2004. The most important changes to these documents were implemented to better represent current practices, simplify and clarify the scoring section, clarify the explanation of the derivation of scoring criteria, and update the two NDA PDP Plans to be consistent with one another. The Performance Demonstration Program Plan for Analysis of Simulated Headspace Gases, Revision 6.1 (U.S. Department of Energy 2007) has also been revised since CRA-2004. The most important changes describe the relationship between the Carlsbad Technical Assistance Contractor and the commercial suppliers of the HSG PDP services, as well as the standard gases used to prepare the HSG PDP samples. Prior to this revision, the HSG PDP sample preparation contractor was a DOE National Laboratory. Therefore, the DOE is in compliance with section 194.24(c)(5). The CRA-2009 has not changed in reference to provisions in sections 194.24(d) and (f) since the CRA-2004 decision. Therefore, the DOE is in compliance with sections 194.24(d) and (f). The CRA-2009 inventory is unchanged from the CRA-2004 PABC inventory. Since the CRA-2004, the DOE has characterized and shipped RH-TRU waste. The WWIS was also modified by the addition of data fields to meet additional tracking and control requirements imposed on RH-TRU waste by the LWA. Therefore, the DOE is in compliance with section 194.24(g). The DOE continues to comply with the inspection and records requirements. This is discussed in Section 22 of this application. Therefore, the DOE is in compliance with section 194.24(h).